The Ferrari Testarossa is one of the few cases in which the top model of the Ferrari range has not been triggered by quotations. For many it was too gentrified a model to wear a horse rampant in its armor. 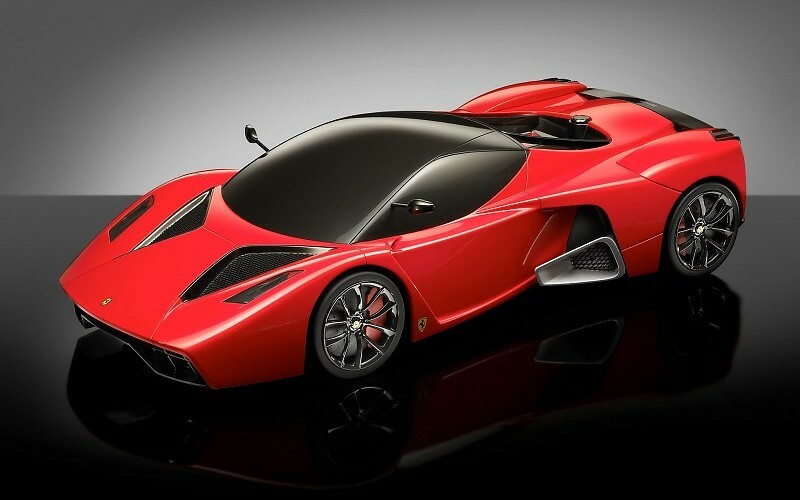 But they are wrong, throughout history Ferrari has had formidable GT and the Testarossa is one of them. In 1984 the Ferrari was out of the map. For the first time one of its street models exceeded the 300 km / h barrier. 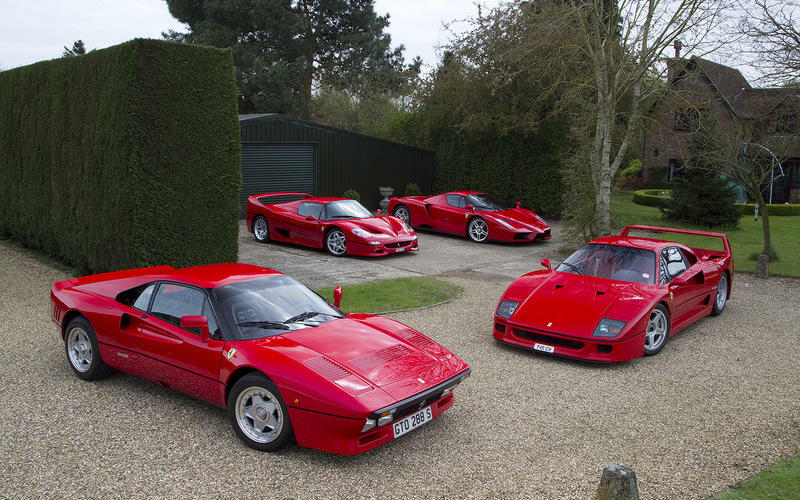 It was the formidable Ferrari 288 GTO. However, that record lasted little. And just six months later the Ferrari Testarossa arrived to market to pulverize the speed record of the GTO with its top speed of 329 km / h.
How did the Testarossa achieve a maximum speed 25 km / h higher than the 288 GTO. If it had “only” 390 HP compared to 400 of the GTO?. Because very simple: thanks to an extraordinary aerodynamics. The engine placed in the rear is extremely flat and allows the silhouette of the car is very low. In addition, the windshield is very inclined and almost centrally positioned. So that it acts as an aerodynamic spoiler to provide support and avoid the lifting forces of the rear axle. In this way they saved having to mount ailerons in the Testarossa and achieved a good coefficient of aerodynamic penetration despite its more than 2 meters wide. The formidable width of the Testarossa in the rear was a necessity to get a proper cooling of an engine that takes up a lot of space in width. And improve both the reliability of the mechanics and the comfort of the passengers. In its predecessor, the Ferrari 512 BB, customers complained that it was too hot inside the car. So by making the Testarossa wider they got two things: a cabin with a larger volume and a looser. And ventilated engine compartment that accumulated less heat. The lateral gills: besides channeling the air for the admission and cooling of the mechanics, those horizontal slats improved the laminar flow and eliminated the turbulence of the air in the side of the car. A single mirror almost on the roof: the roof of the Testarossa is barely one meter from the ground and the driver is in a very low position. As the rear of the car is much wider than the front. If you put the mirror on the bottom of the windshield frame would have to be very long support to rid “the back”. The solution was to mount the mirror very high, above the edge of the rear. The visibility was good but aesthetically broke schemes and did not curdle in his day. So soon they changed it for two conventional rear-view mirrors in the later series, which lost visibility and originality. An asymmetric skirt: to improve aerodynamics, the front of the Testarossa has very few air intakes. Another aesthetic asymmetry that I did not like too much. But that I was looking for maximum efficiency. Huge tires: yes, their 225 / 50-16 on the front axle today is practically mounted to a Dacia Sandero. But in 1984 they were huge, and even more so their 255 / 50-16 mounted on the rear star features of five points. Thirty-five years after its introduction, the Ferrari Testarossa remains one of the most recognizable models of the brand. And an icon of motorsport that remained in force for no less than 12 years thanks to successive updates in which it even stopped called Testarossa. 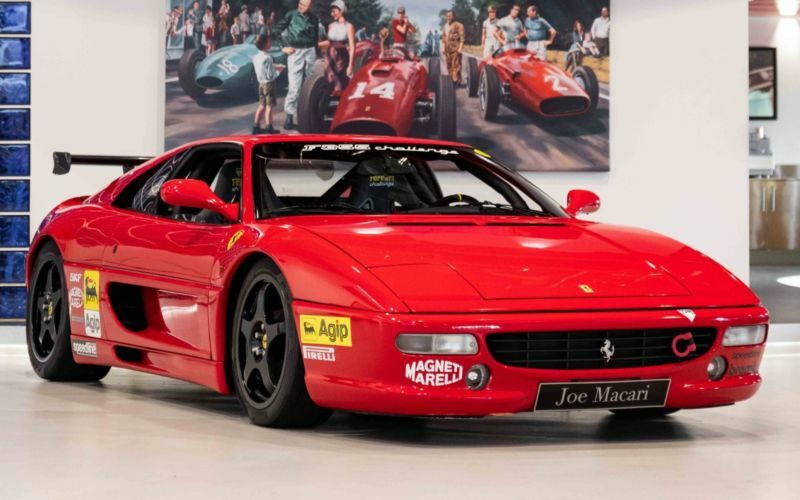 Losing not only the name but also a large part of his personality in the successive 512 TR and 512 M.
This enormous longevity (it was manufactured from 1984 to 1996) made it, despite being one of the most expensive Ferraris in the catalog. It was also one of the most sold with almost 8,000 units produced. The Ferrari Testarossa was born to succeed the legendary 512 BB. A model that had those letters because they meant “berlin boxer” for its body type. And because its engine was a 12 cylinder with these arranged horizontally. However, although its cylinders are arranged in two opposite banks on the same plane. It is not a true Boxer engine. Actually it is a V12 engine in which the benches form a 180º angle. The difference between this arrangement. And a true boxer is that in the Testarossa engine the cranks of a cylinder. And its opposite are anchored to the crankpin of the crankshaft itself. This makes their pistons do not move symmetrically. Which is why boxer motors are so called. Because the movement of the pistons reminds the gestures of a boxer throwing punches at a mirror during his training. In a boxer motor, the piston of a cylinder and its opposite move at the same speed in opposite directions, that is, they move away from the crankshaft symmetrically. However, in the Testarossa, when they are anchored to the same crankpin. While the one on one side moves away from the crankshaft the other approaches it. This makes the balance not as perfect as in a boxer. But makes the engine much shorter, reducing the torsional forces of the crankshaft, which also shortens. The flat engine of Ferrari Testarossa achieved a very low center of gravity and excellent performance thanks to the 390 HP offered by its 4,943 cm3 displacement. In spite of this enormous displacement, to turn to high regimes. It was a relatively short race engine. Equipped at first with an old Bosch K-Jetronic mechanical injection. The Testarossa was improving its performance and consumption throughout its 12 years of life by equipping more modern electronically controlled power systems. But its block remained practically unchanged for more than one decade. Another of the hallmarks of the Testarossa was its semi-hidden rear pilots after a kind of estore. This solution served to conceal the ventilation outputs of the rear engine and give aesthetic continuity to the lateral gills. 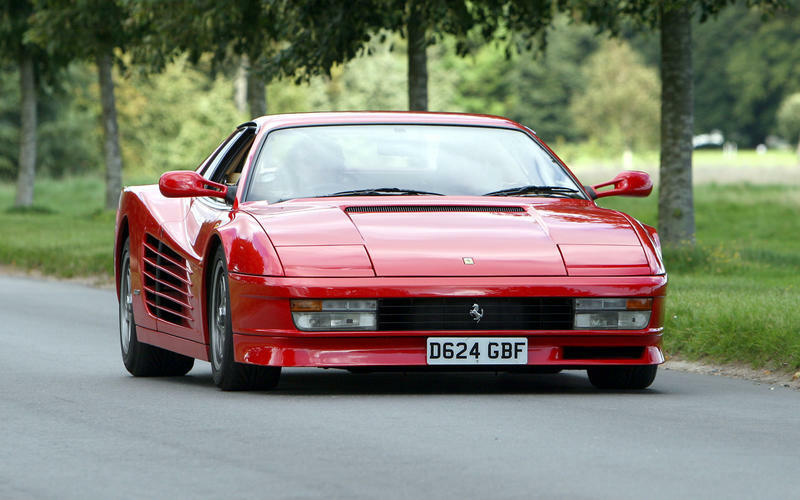 It was one of the parts that most varied in the three generations of the Ferrari Testarossa. And the easiest way to identify the first sight of the Testarossa against its successors. During its twelve years of life, the Ferrari Testarossa had three generations, although it lost the name of Testarossa already in the second of them. In 1991 appeared the Ferrari 512 TR. A more profiled front with more rounded headlights on the skirt. A more rounded rear, improvements in the interior finish and mechanics made it a much better car. But with less personality. In 1994 came the time of the F 512 M that lost retractable headlights, greatly improved performance, aerodynamics and interior finishes. But its rear was disappointing with a few round pilots very poorly integrated into the overall design of the car. I guess he would not be the only teenager who wondered how a policeman could afford a Ferrari Testarossa like the one Don Johnson had in the series of “Corruption in Miami” when in those years it was the most expensive car in the Spanish market. In 1986 the price of the Testarossa Ferrari was 24,045,906 pesetas (about 145,000 dollars) twice the cost of the Porsche 928 s . The top of the Porsche catalog in the same year. The fact is that Testarossa became famous for his rare white color, for appearing in one of the most successful series of the time. Before the series was a success. Its producers preferred to keep costs at bay. And instead of spending a pasture in an authentic Ferrari 365 GTS Spider. They disguised a 1980 Chevrolet Corvette C3 as if it were a Daytona Spider. The result was not bad at all and the replica gave the hit. But it did not sit well at Maranello. Those of us who comb gray hair put a few coins of 25 pesetas in the arcade machines to enjoy the pleasures of driving at full speed a convertible Ferrari Testarossa in one of the most addictive video games of the eighties. The legendary “Out Run”. Created in 1986 by Yu Suzuki, Out Run was one of the most successful games of Sega in his time. The mission was to drive at full speed. And arrive within the time limit to the goal in one of the first driving simulators that existed. The protagonist car was the most desired sport in those years. Although Ferrari was plagued by requests to manufacture a convertible version of the Ferrari Testarossa. The supreme master of Fiat, as if to deny him the whim, come on. Despite being a unique and very special car, pretended go unnoticed with a discreet silver gray color decorated with profiles in blue tone. The only Ferrari Testarossa Spider manufactured by the company went to auction recently by the hand of Artcurial specialists. Who lowered the deck to reach a bid of “only” 1,210,080 dollars, a not inconsiderable figure. But ridiculous if we have in It is a unique piece of Ferrari original, far from the millionaire figures reached by other models manufactured in more numerous series, such as the mythical Ferrari 250 GTO. 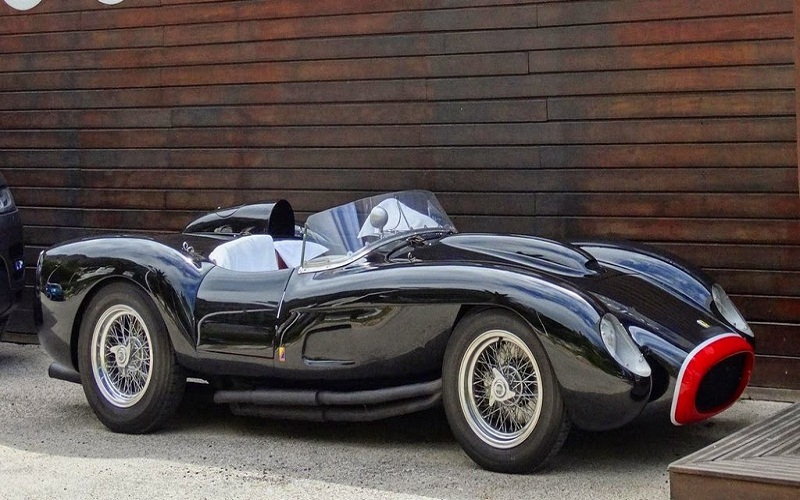 The Ferrari 250 Testa Rossa and the Ferrari Testarossa. Two cars much more different than that space between Testa and Rossa can make us think. In 1957 Ferrari presented its new sports car for the new season. A beautiful sports car with a 3-liter V12 engine with an unmistakable style thanks to its front with the fins separated from the calender. An engine that reached an exceptional yield at the time with a specific power of 100 CV by each liter of piston displacement. As a tribute to this model, the Testarossa also painted the rocker covers of its V12 at 180º. In addition to being extraordinarily beautiful. The Ferrari 250 TR was very competitive and achieved an enviable track record. Wwinning in the most important race in the world. The 24 Hours of Le Mans, in no less than three seasons: 1958, 1960 and 1961.